Executive Director Lilianne Ploumen left the organisation in 2001. Under her leadership, the income of the organisation more than doubled, and the number of employees (mostly part-time) had grown from six in 1996 to 22 in 2001. Ploumen had just merged the Culture Fund, the Fund for the Global South, the Central and Eastern Europe Fund, and the Guarantee Fund into one foundation, Stichting (Foundation) Mama Cash. The formerly autonomous funds became divisions of the organisation. The volunteers of the various former Boards became members of Advisory Councils, advising the managers of the divisions. Mama Cash now had one single Board that delegated the daily management to the Executive Director, who directed the fund managers and staff. When the new millennium set in, the roles were reversed definitively: the volunteers took on an advisory role to the paid staff members. Professionals had taken over the work of the volunteers. 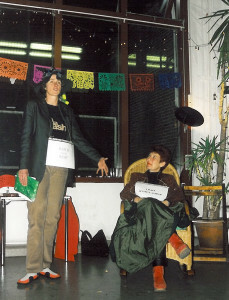 The new Executive Director, Ellen Sprenger, previously worked for the development organisation Oxfam Novib. She pushed the organisation’s professionalisation further. She hired new, specialised personnel. Some volunteers adapted to their new roles, but others were not pleased. To founder Marjan Sax, Mama Cash had lost her momentum. Sax: ‘In my opinion back then, Mama Cash had no more added value, she had lost her silver lining’. (watch interview) A new generation had arrived with new perspectives and ideas. It was time for the baton to be handed over. Over the years, Mama Cash’s position within the women’s rights movement had changed significantly. During the mid 90s, the Global Fund for Women in the U.S. had become larger than Mama Cash. Women’s movements had given rise to fifteen independent women’s funds in Asia and the Pacific, Latin America, Africa and Europe. 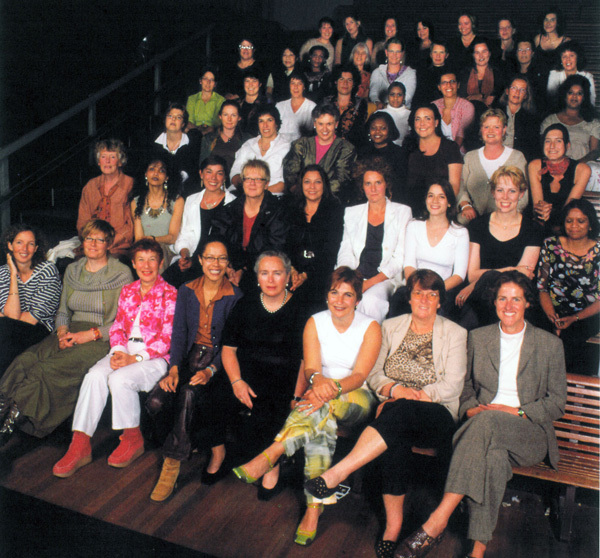 Mama Cash had become a partner in a growing worldwide network of women’s funds. On Sprenger’s initiative, Mama Cash developed her very first five-year strategic plan. Board and staff got together to discuss new strategies. Just as it had seven years before, it was thought that Mama Cash needed more focus, more audacity and more gumption. Her field of focus had become too broad. Each year, over four hundred women’s groups received mainly small, project grants. It was difficult to keep track of any results. It was time to make choices. Sprenger: ‘My goal was to take Mama Cash up to a more professional level, without her losing her unique way of exploring new boundaries, and supporting pioneers committed to boldly defending women’s rights. This wasn’t an easy process and met with resistance within the organisation’. The result of these discussions was Mama Cash’s first strategic plan for the years 2004 – 2008, titled She makes the difference. The organisation did not shy away from painful decisions and had decided to close the Guarantee Fund. It had realised its mission. There was no more need to support new women entrepreneurs in the Netherlands as their needs were now finally being met by financial institutions. Also, in 1991 the Mama Cash Art Award, initiated by the Culture Fund was called off. Women artists in the Netherlands had succeeded in carving out a larger place for themselves in the art world. Up until 2003, Mama Cash would only be prompted to think about her future if faced with a crisis. From this time on, however, she decided to create a new strategic plan every five years and facilitate the organisation’s development by planning leaps forward. During the period 2001 – 2003, Mama Cash granted 3,867,000 euro to 1197 groups. In the year 2003, 16 full time staff and 12 part-time volunteers worked for Mama Cash.